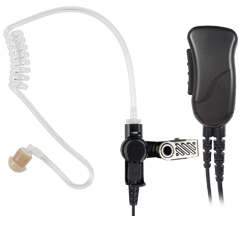 OBSERVER™ Series SPM-100 Series - Light Weight and smaller than the Trooper Series the Observer still puts out a good loud signal but is better suited for everyday users. 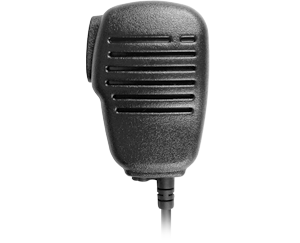 HEAVY DUTY IP67 Storm Trooper™ SPM-4200 Series - Advanced Heavy Duty Speaker Microphone. 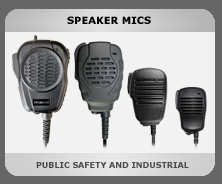 Heavy duty remote speaker microphone, specifically built for public safety use. 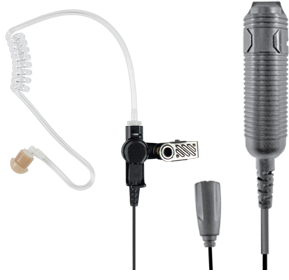 MIRAGE™ Series SPM-1300 - Surveillance Kit , Lapel Mic Style (1-wire) with Noise Reducing Mic element and Clear Tube Earphone. 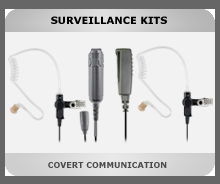 3-Wire SPM-3300 Series Heavy Duty 3-Wire Surveillance Kit: Features acoustic tube earphone with TWIST CONNECTOR, remote PTT switch and low-profile lapel microphone. 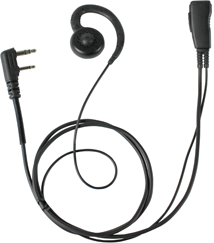 Straight cable. 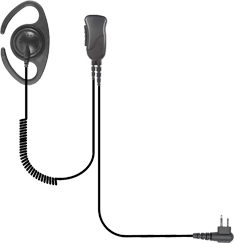 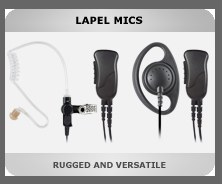 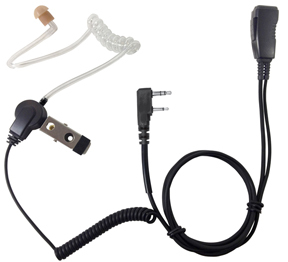 ​ADJUSTABLE EARPIECE SPM-1200C Series - Lapel Microphone: Lapel Microphone with C-ring style earphone. 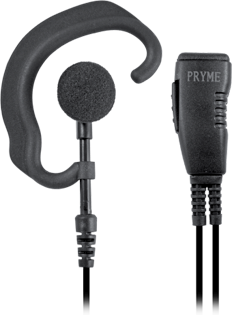 RESPONDER™ Series SPM-300EB Series - Lapel Microphone: Lapel Microphone with soft earhook style earphone.